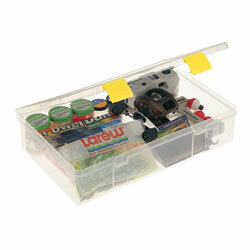 In 1952, Plano introduced the first molded plastic tackle box. For the next fifty years, the Plano brand found its way into the hearts and hands of four generations. Today, there’s a 4 in 5 chance that if you own a tackle box, it was made by Plano. Anglers have come to trust for quality, durability and innovation.